Local Government, Public Works and National Housing Minister July Moyo said he was informed of the profiteering by some Harare City Council officials and corrective action had since been taken. Minister Moyo said the anomaly was noted by some officials who sit in the procurement boards who then advised relevant officials that the prices were inflated. “Resource mobilisation is the responsibility of the Ministry of Finance who ensure that a monitorable and auditable system is put in place. “This anomaly was actually detected by one of our officials who sits in the procurement board and corrective measures have since been taken,” said Minister Moyo. He said Government does not condone profiteering at the expense of human life. The City of Harare responded by suspending officials implicated in the scandal. Responding to concerns raised by Mr Masiiwa, council posted on its twitter handle: “Harare acting town clerk engineer Hosiah Chisango this morning suspended some officials suspected of inflating prices for goods and services to be used in the fight against cholera. He said through this assistance, Government was going to receive products for use in the fight against cholera fight and not cash. Dr Moyo criticised those taking advantage of the cholera outbreak to profiteer. “We cannot take advantage of a situation of this nature. Whoever is doing it is not with us. People must not take advantage of the situation. 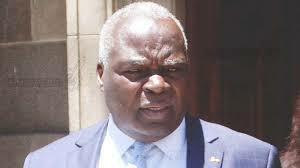 We must be able to benefit the maximum from the support that is coming through,” said Dr Moyo.